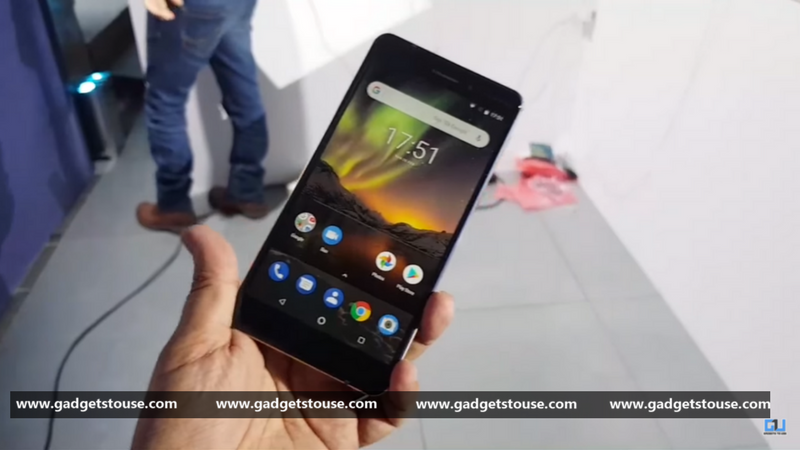 HMD Global has launched New Nokia 6 in India alongside other flagship Nokia 7 Plus and Nokia 8 Sirocco smartphones. The New Nokia 6 is an upgrade to last year’s Nokia 6 in terms of hardware and some other minor changes. The phone comes with the Snapdragon 630 chipset and runs Android Oreo out of the box with Android One program. The Nokia 6 (2018) was first unveiled at MWC 2018 and it comes with a similar design as the earlier version. However, HMD Global has opted for on-screen navigation buttons and the bezels also look bit smaller, but it still comes with the older 16:9 display. 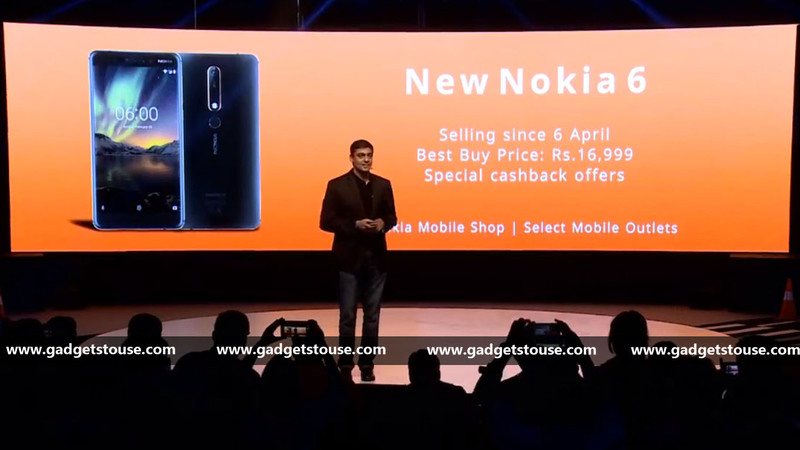 The Nokia 6 (2018) has been launched as the New Nokia 6 in India and has been priced at Rs. 16,999. The New Nokia 6 smartphone sports a 5.5-inch FHD (1080×1920 pixels) IPS LCD display with Gorilla Glass protection. It comes with a similar 16:9 aspect ratio display that we have seen on last year’s Nokia 6. The new Nokia 6 runs on Android 8.0 Oreo out of the box and it is an Android One phone so it comes with the promise of swift software updates from Google. The New Nokia 6 smartphone features the same 16MP rear camera as the Nokia 6 2017 edition. The Zeiss optics camera comes with PDAF, f/2.0 aperture, 1-micron pixels, and dual-tone LED flash. On the front, the New Nokia 6 sports an 8MP fixed focus camera with f/2.0 aperture, and 1.12-micron pixel. The device comes with the Bothie feature of the Nokia 8. In terms of hardware, the New Nokia 6 runs on Qualcomm Snapdragon 630 processor coupled with Adreno 508 GPU. The smartphone comes in only 3GB RAM+32GB storage version in India. The storage is expandable via microSD card up to 128GB. The New Nokia 6 price in India is Rs. 16,999 for the 3GB RAM and 32GB storage variant. The phone will go on sale in the country from April 6 via select retail outlets and the Nokia mobile shop.